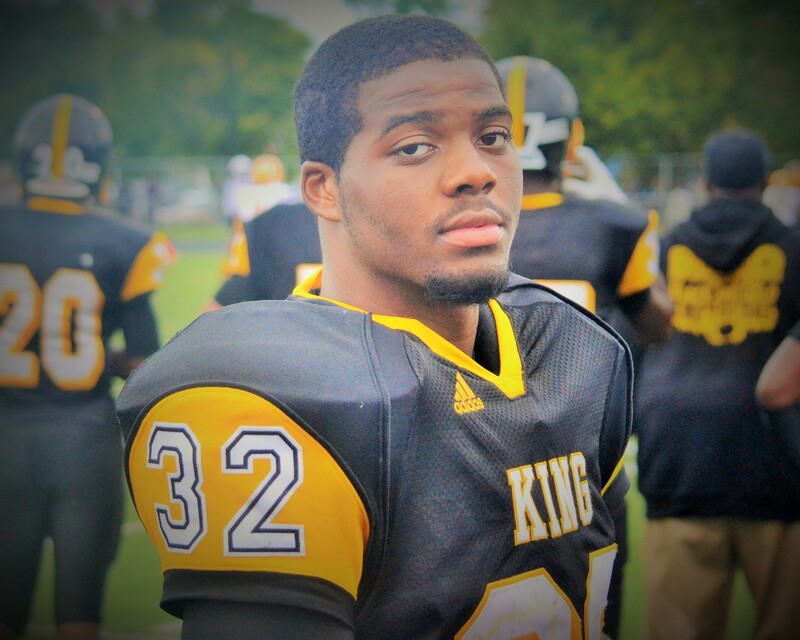 King High senior running back Martell Pettaway was an unstoppable force last Friday in the Crusaders’ 41-0 victory against Denby and has been named the Detroit Public School League Proud Strong Learner of the Week. Pettaway, a 5-10, 210-pound transfer from St. Clair Shores South Lake, carried the ball 18 times for 275 yards, including touchdown runs of 80, 75 and 32 yards, to help the No. 1-ranked Crusaders remain unbeaten with a 4-0 overall and 3-0 league record. Pettaway has a 3.6 grade point average and, as one of the state’s top college recruits, has committed to West Virginia University. He’s following a King football legacy established by his older brother Devinne, who was a senior defensive standout on the Crusaders’ 2007 Division 2 state championship team. Just months before graduation, Devinne collapsed at school and died tragically from an enlarged heart. When the family made the move back to Detroit, it just seemed logical that Martell would enroll at King. He has a chance to follow in his brother’s footsteps by leading the Crusaders’ march toward a state championship this year.